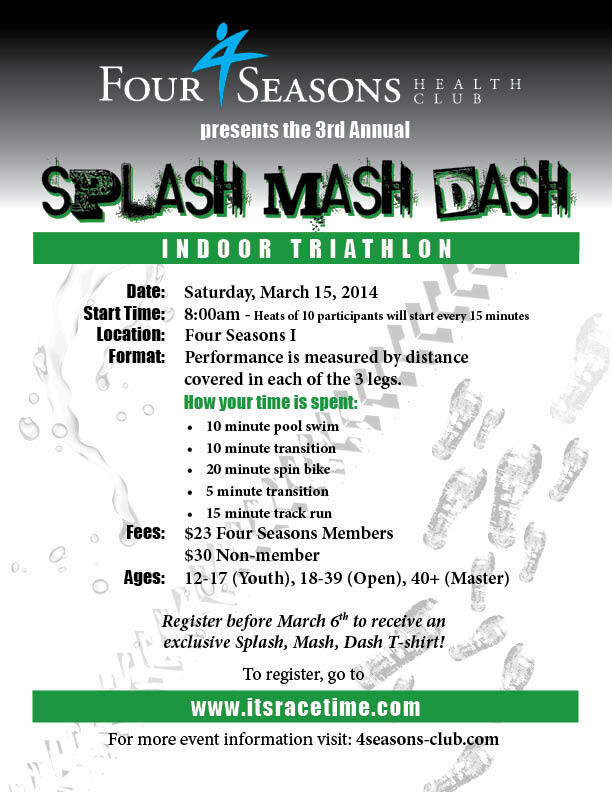 Grim Reaper Fitness is a proud sponsor of the 3rd Annual Splash, Mash, Dash indoor triathlon. Whether you are a new triathlete looking to get your feet “wet” or an experienced athlete prepping for the upcoming season, this race is for you. The weather has been awful and 4 Seasons offers the perfect indoor environment. Sign up today and kick your 2014 race season off right!